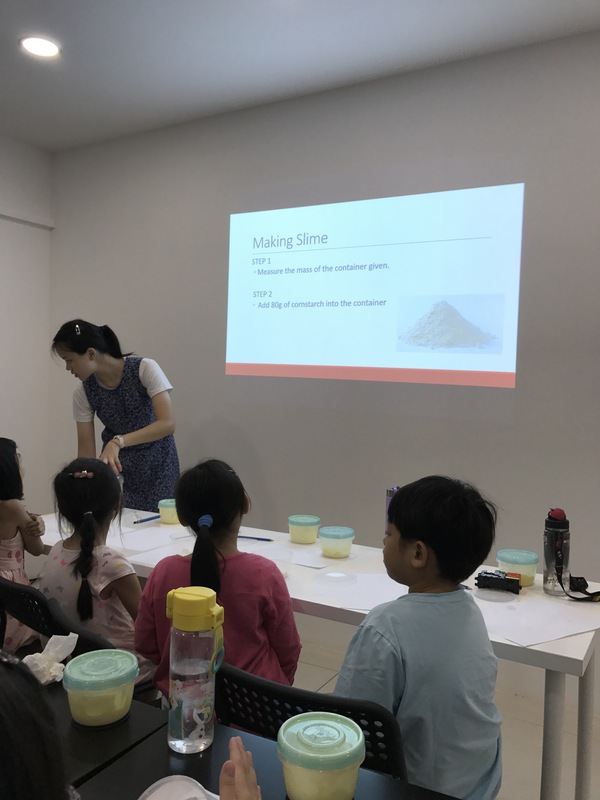 Last weekend, we were invited to attend a workshop with an irresistible offer- an opportunity to make slime and learn math all at the same time. For the kids it was a no-brainer. Make slime? Sold. 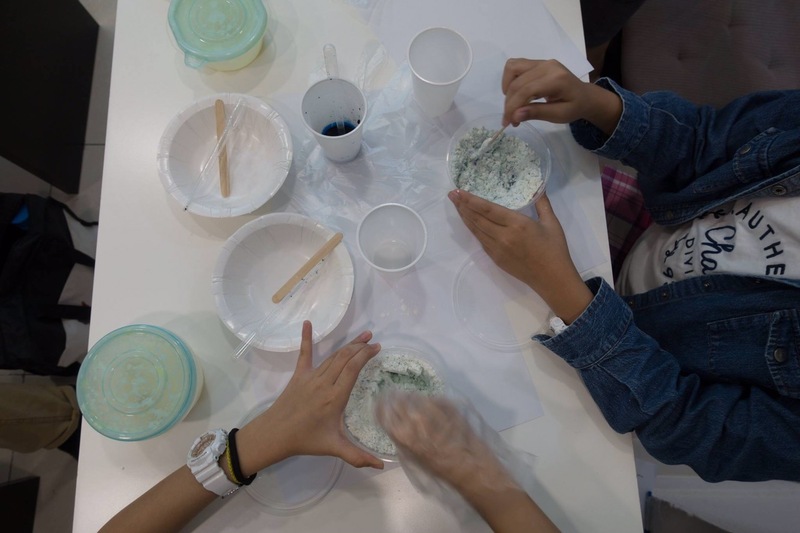 For mummy me, it was a no brainer too, make slime …without getting the house messy and gucky? For sure! 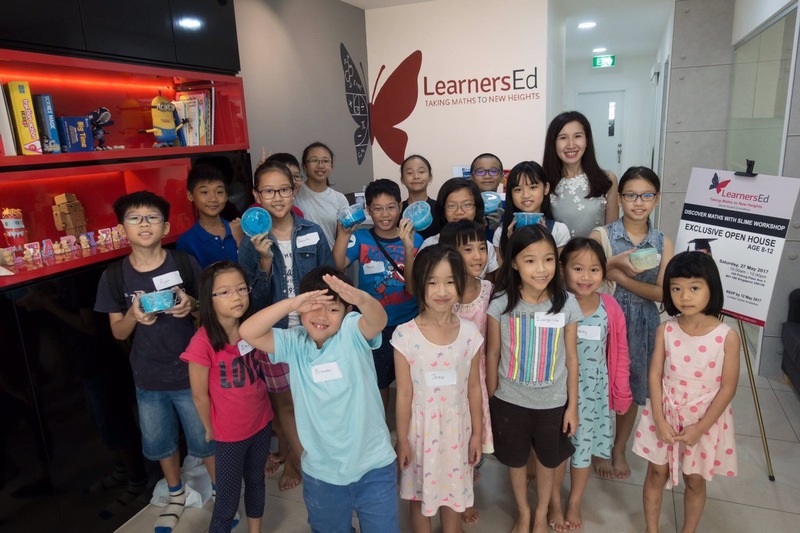 So off we trooped to LearnersEd, a Math learning centre, nestled in the cosy neighborhood of Potong Pasir, ready to get our hands mucky and our brains some mathematical exercise. 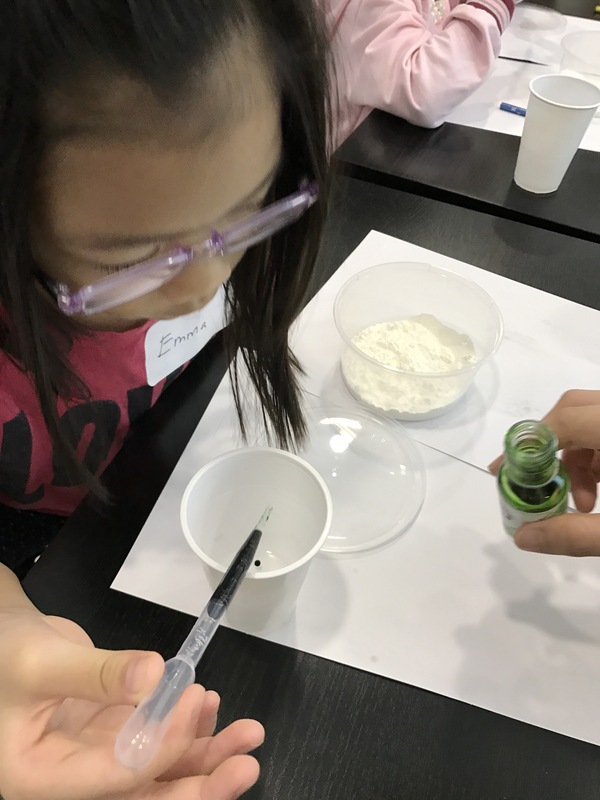 The “Discovering Math with Slime” Open House 2017 looked promising to boot. Greeted by the clean and welcoming premises, the kids went about to their respective classrooms for the day’s programme. 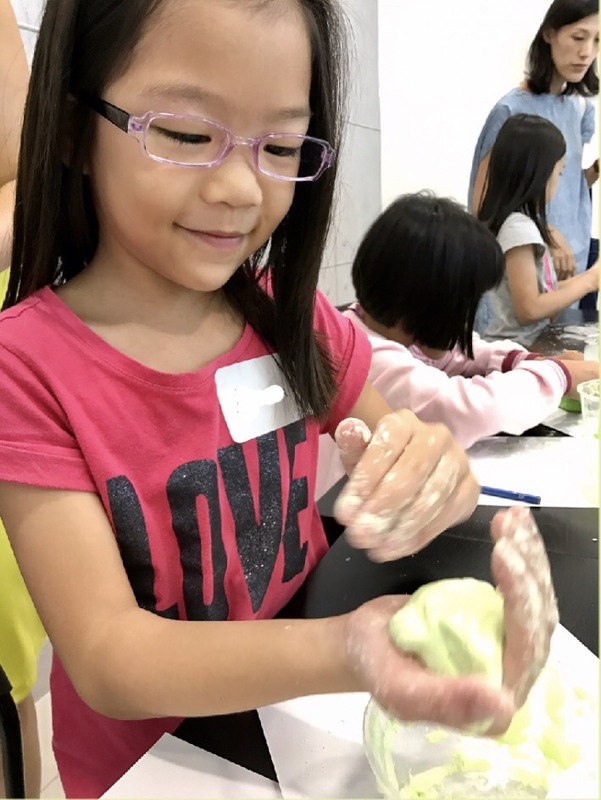 • To instill hands-on learning and creativity in children through the process of making slime and butter. 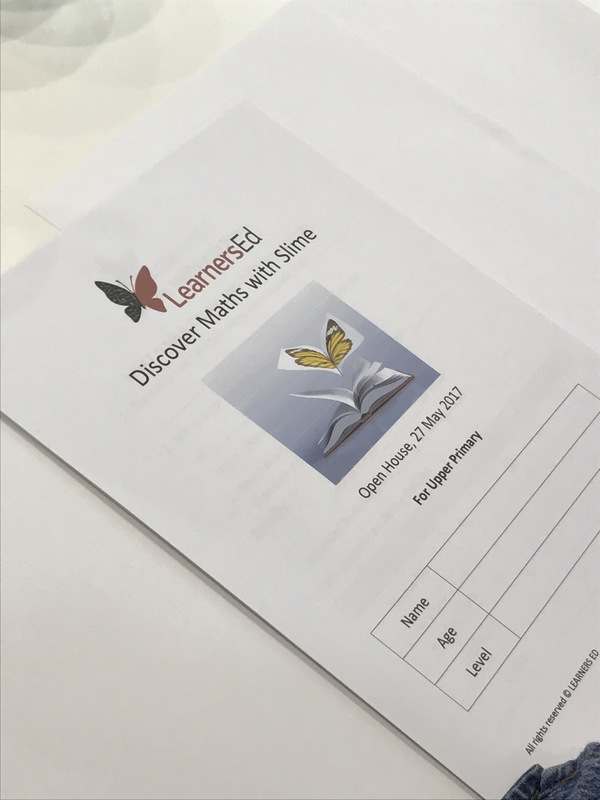 • To bring about an experiential learning process where Maths and Science concepts are infused in the making of slime and butter. 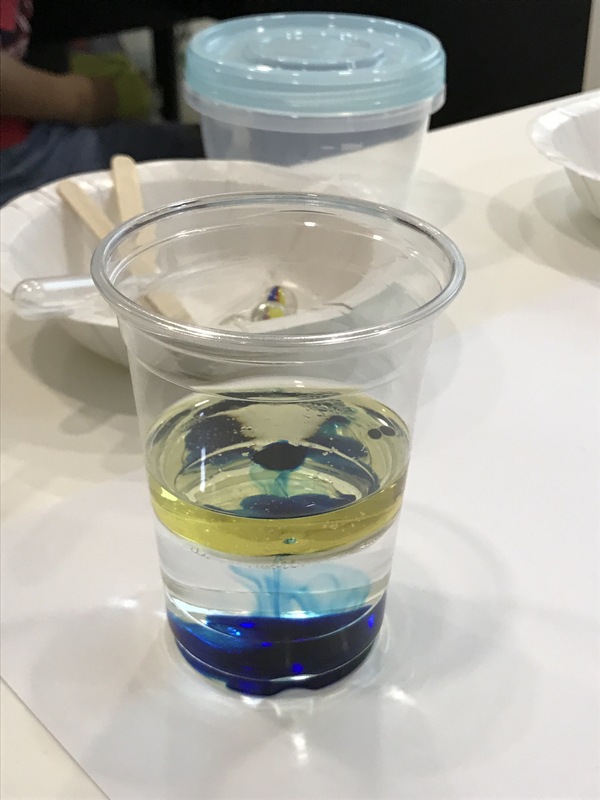 First up, the kids explored the concept of density by observing how oil floats on water. Food dye and salt were added next which would sink through the layer of oil. They recorded their observations eagerly as they watched the effects of the elements interacting. 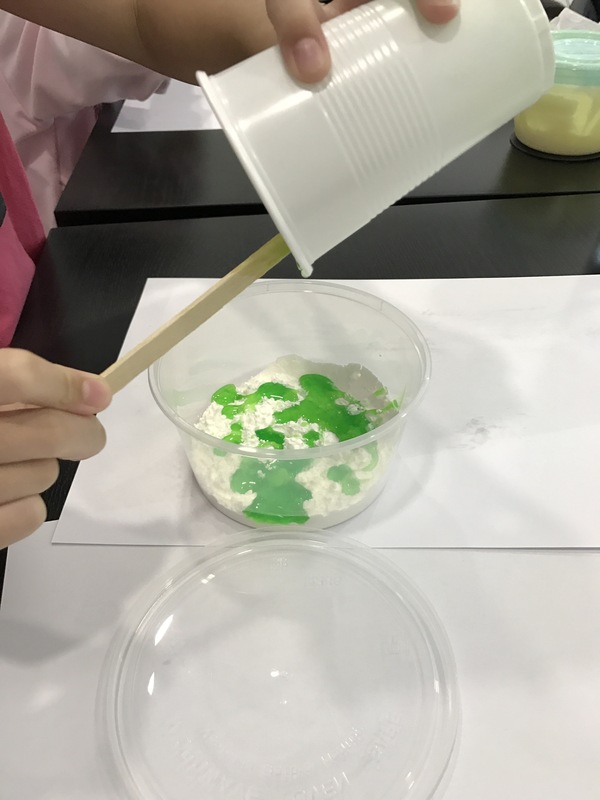 It was an interesting science appetizer before moving on to the real deal–making butter and slime. 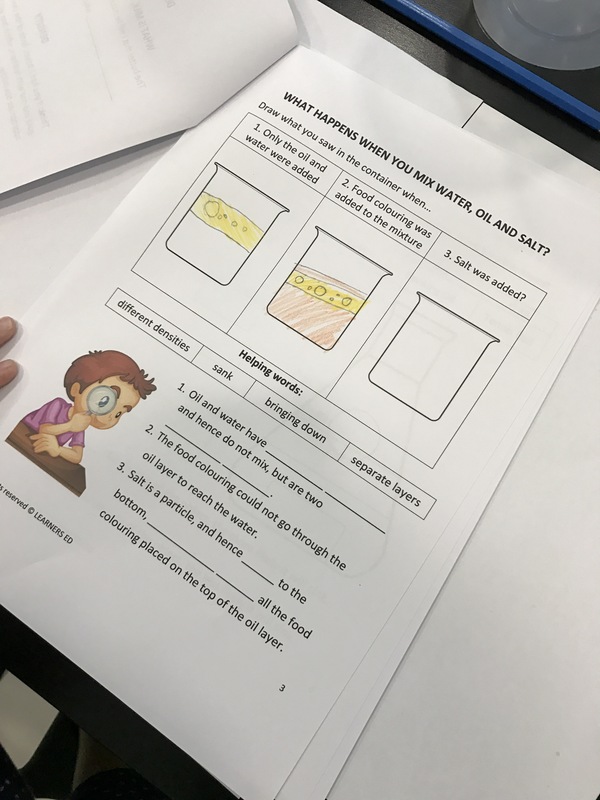 Children were given DIY tools to do simple measurements of the ingredients. 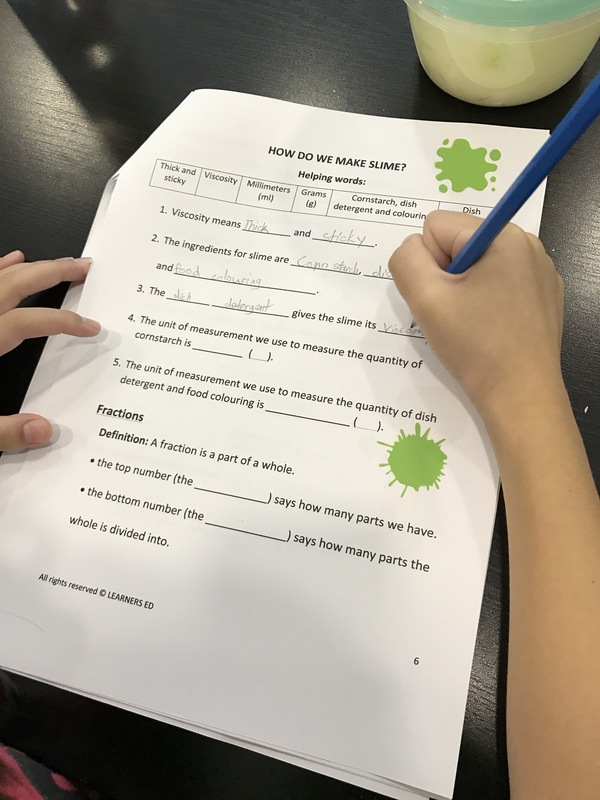 Along the way, they were encountering Maths in real life through the process of making slime and butter. Very cool. The verdict was in: “Best Day Ever!” declared little Miss as she rolled and squeezed the green goeey ball of slimy satisfaction, gleaming from ear to ear. 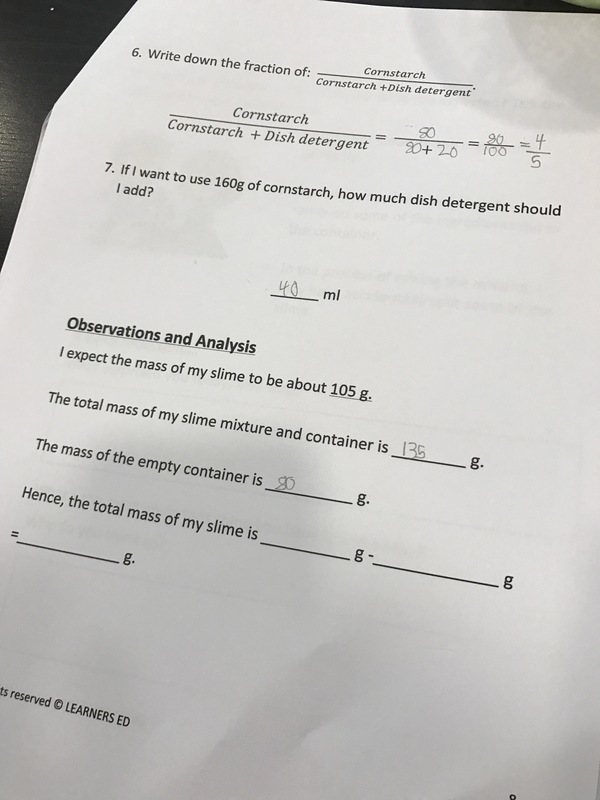 Honestly, I was curious to see how math would be introduced into the greater scheme of things through an activity like making slime. Turns out the way they did it below was meaningful: through concepts of measurements and fractions. Many times learning is dry and formulaic with rote methods that bore rather than excite. 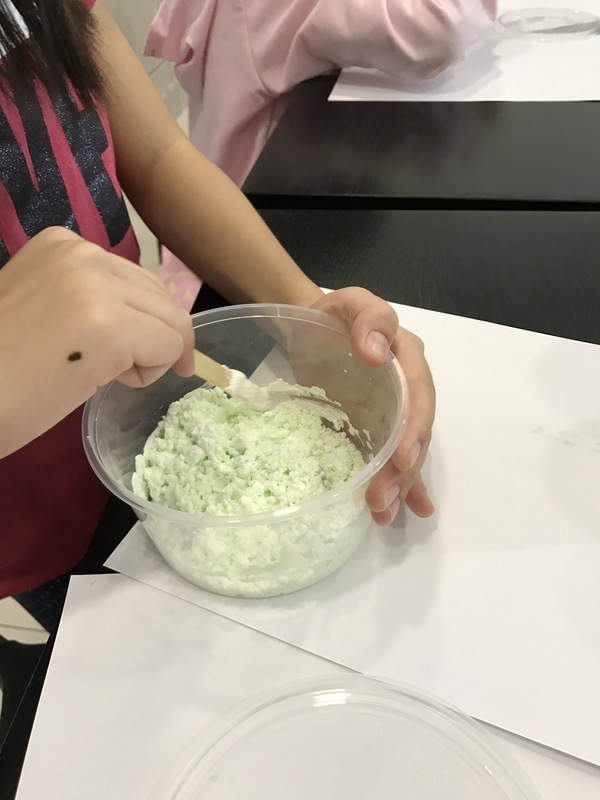 So I truly appreciated the centre’s efforts to make learning so energizing with real ingredients at play (the kids earlier made their own butter with marbles and whipped cream). 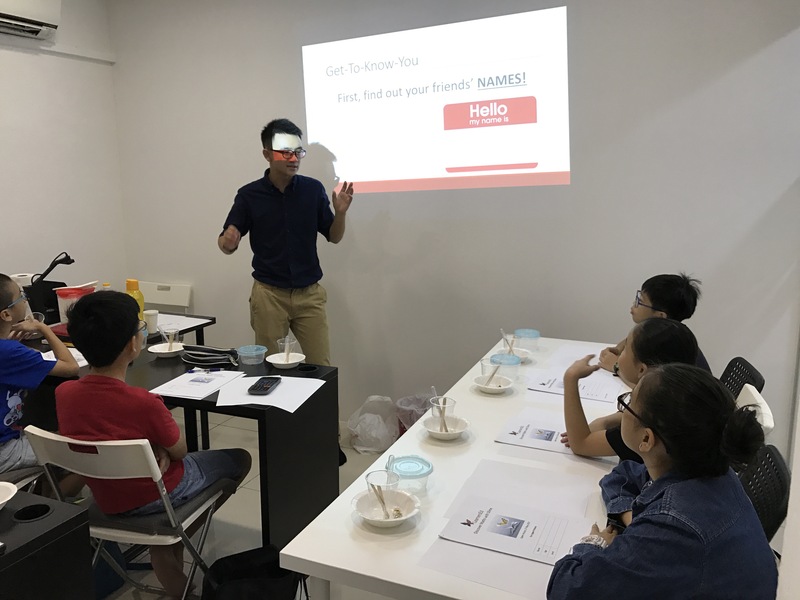 The kids also took home practical applications that would lock in their impressions of what they were learning thereby making it more impactful and memorable. 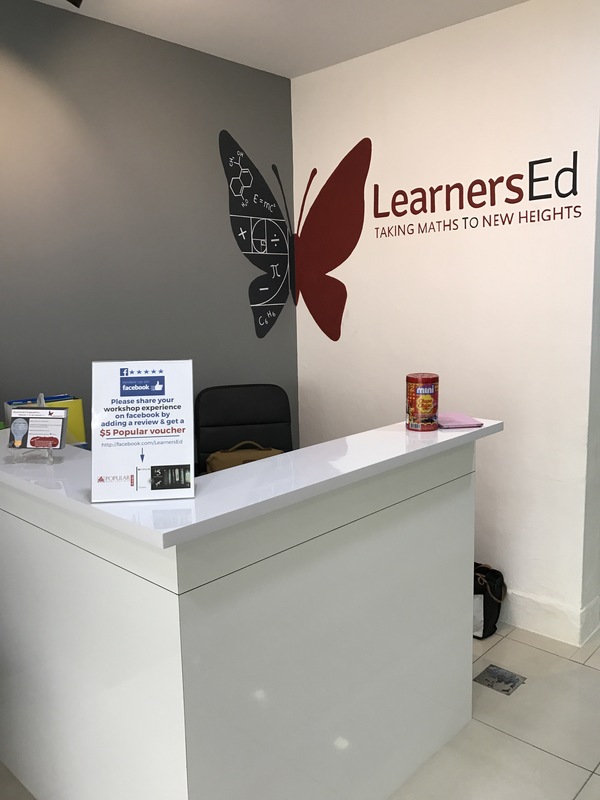 Learners Ed has a well-thought curriculum designed by skillful teachers who are familiar with the demands and rigor of Mathematics at the Primary and Secondary School levels. 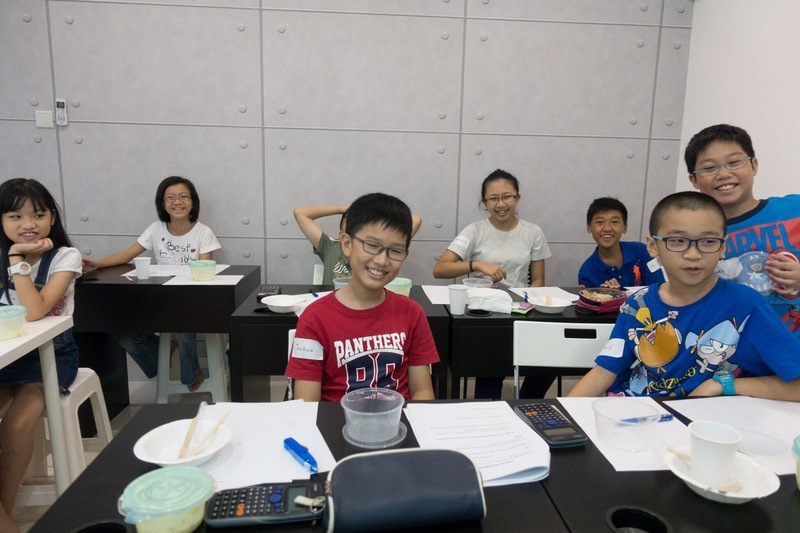 The centre runs small group classes (maximum 6 per class) as they value a cosy student-teacher ratio. 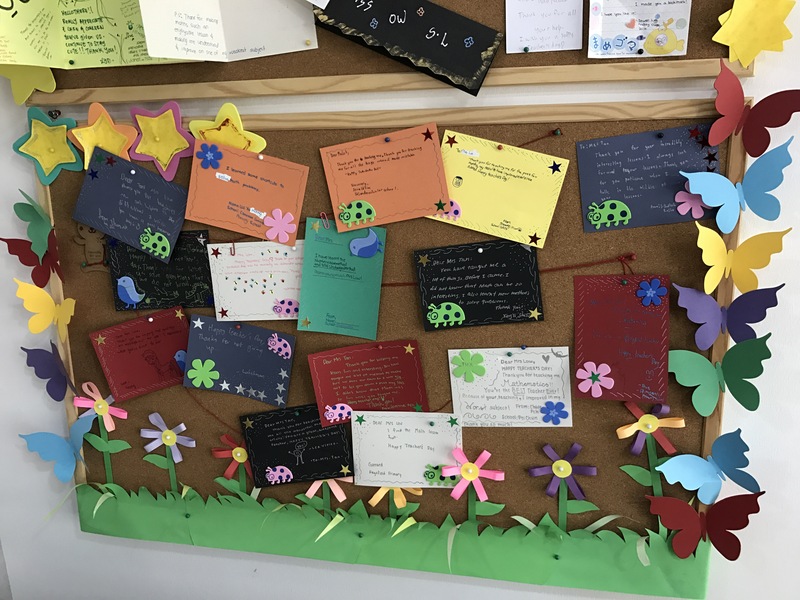 Recognising that every student has different starting points and varied interests and abilities to learn Mathematics, LearnersEd breaks down and simplifies Mathematics concepts into “bite-size” portions so that the students find learning of Mathematics manageable and enjoyable. Lessons are crafted to build in rigor and fun elements. Check out their timetable of primary and secondary math classes here! LearnersEd truly lives us to their motto of “Taking Math to New Heights” judging from the smiles on these little faces! Disclaimer: All opinion for the purposes of this review are my own. Giveaway Promotion to MOBM Readers! for the first 10 lucky readers who make a booking with them. Contact LearnersEd now to claim this exclusive offer for a limited time period only and subject to vacancies! Our Family Outdoor Shoot with The Nice Photo Man! 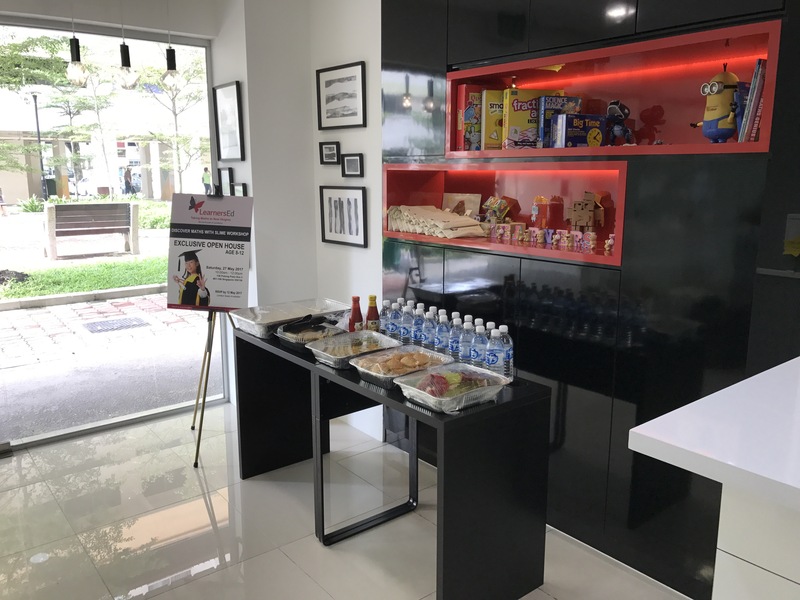 June Holiday Fun at The Kidz Academy 2017!